Under eye bags may be seeing the end of their days soon! Allergan, the makers of Botox, recently acquired Topokine Therapeutics. This company is developing XAF5, an eye cream that may one day make under eye surgery (also known as blepharoplasty), a thing of the past. As someone who does fillers in the under eye area, I am receiving this news with great joy! 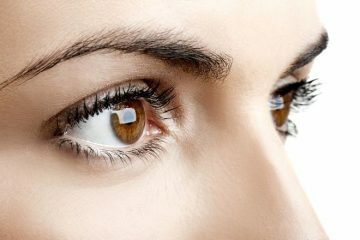 Fillers are great for under eye hollowness, but it doesn’t do anything for the puffiness that often exists concurrently. I can make things look smoother by filling in the hollows, thereby reducing the shadowing. But unfortunately, I cannot make the puffiness or loose skin go away. AF5 Ointment is expected to become available some time in 2018. It works by shrinking fat cells in the lower eyes that cause bags and bulging. XAF5 will be the first topical cream indicated for the treatment of under eye fat pockets. The smaller the fat cells, the less bagging there is. Results can be seen in about five weeks. If XAF5 Ointment eventually makes it way to market, it would be the first prescription-strength topical medication of its kind. Truly a game changer for those of us waiting for more non-invasive technologies to offer to our patients. I would love to have my under eye bags gone. It makes me look tired and also feel tired when I look at myself. People come to me and ask me when did I sleep. How embarrassing. I hope and pray something becomes available and not too expensive to purchase. I keep googling every other day to see if something new is on the horizon.